Hunting is certainly not an easy task, which is why hunters seek nothing but the best when it comes to purchasing their accessories and gear. In fact, without an effective hunting gun, it is much harder and more complicated. Most beginners may not understand the importance of a scope. Some think of it as a waste of money, saying that a rifle can still function properly even without the scope. However, all experienced hunters will attest to the fact that a good riflescope is capable of turning any hunting amateur into a sharp-shooter. The Nikon ProStaff 3-9 x 40 Review below gives you all the information about this riflescope, as well as what you need to know before considering purchasing it. The ProStaff 3-9×40 BDC Riflescope (Black Matte) is one of the best scopes on the market today. It is mostly used by hunters seeking game where high zooming or magnification is necessary. Although it’s a budget-friendly scope, Nikon competes remarkably well with the more expensive models. It’s a good choice for heavy cover shooting and stealth operations. Below are some of its features, explained in clear detail. Compared to other riflescopes in the price range this one has generous features, especially when it comes to enhancing and improving individual functions. The Nikon Prostaff 3-9×40 Riflescope has a fully multi-coated optical system, which delivers an impressive performance for a cost-friendly riflescope. The multi-colored lenses increase the light transmission up to 98%. This ensures that you enjoy maximum brightness, light transmission and contrast at all times, whether day or night. The optical system is fully multi-coated to enhance high performance and efficiency. Nikon coats all its lenses with several layers of anti-reflective compounds, which is one of the reasons why this scope is perfect for heavy cover shooting. This is one of this scope’s most outstanding features: employing a high technology mechanism. Its patented BDC reticle makes your hunting much easier, enabling you to adjust the bullet drop up to 600 yards. It also allows you to stay and hold ‘dead-on’ across various ranges. This is especially useful if you are a long-range shooter, given that it has see-through ballistic circles. In addition, it’s equally suited for short-range shooting when the crosshair itself plays as the aiming point. The LR-specific reticle and the convenient parallax setting give you increased confidence and precision. The simplified way of object pinpointing makes it quite a useful tool for almost all commando missions which don’t have any specific event flow. This scope is great if you need heavy cover. It can also be used from far distances, granted that it has wide magnification and a 40 mm objective lens. The scope’s magnification range is very versatile, ranging from open prairies to even heavy timber. Case in point, to obtain the necessary clarity, you just need to multiply the objective lenses’ diameter by the zoom level. That implies for a 40 mm diameter and 10x magnification, you can see your target 400x closer. 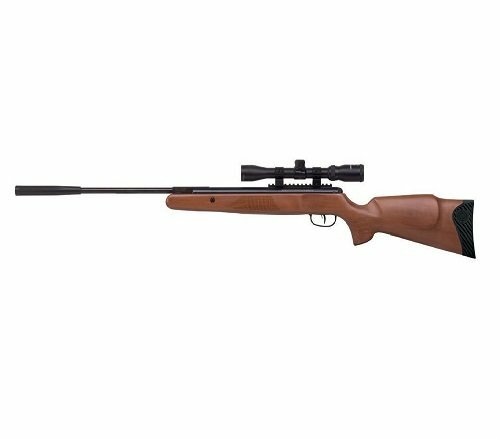 This scope’s zoom range is great for people who like exploring different target ranges and don’t want to buy a rifle that provides for that. This comes in handy at making adjustments easier and simpler. This scope has a zero-reset with a spring-loaded adjustment knob, allowing you to rotate to your ‘zero’ before re-engaging whenever is in the sight of a hunt. Minor adjustments can easily be done to improve shooting precision and performance, thanks to the turret controls’ uncomplicated design. You’ll be able to do field adjustments without any complications since all you’ll need to do is turn the knob to your desired adjustment. The positive click reticle adjustments will get you zeroed in much quicker and also maintain your desired setting, even with heavy recoil. It provides you with an exclusive 80 MOA-adjustment range. It produces brighter, clearer and very concise images to ensure that the targeting system is suitably accurate. Eye comfort is provided by the 3.6 inche eye-relief, assuring you of no excessive eye strain. This will save you from injury caused by the strong gun recoil. The adjustable BDC reticle guarantees you maximum accuracy, meaning that your chances of hitting the target will be much higher. Given that it’s easily portable and also lightweight, it will not cause fatigue or strain while in the field. The Nikon ProStaff 3-9 * 40 Scope works great for 50-200 yards for accurate long range shooting. 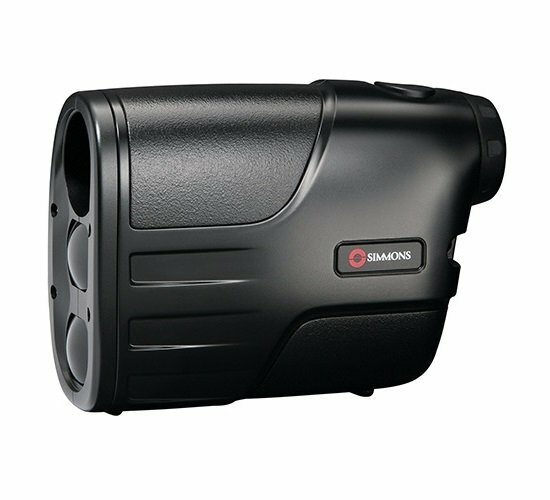 Its 3x- 9x magnification range works well in different landscapes, from wide planes to even thick trees. Since it is so versatile, you don’t have to constantly change your riflescope, saving you both money and time. You’ll spend less time on the adjustments as the smooth, ergonomic control knobs give you more time to focus on your target. It is suitably shock-proof, fogproof and waterproof, given that it is Nitrogen-filled and O-ring sealed. The overall usability of this scope is very high, especially due to the fact that its controls are very simple to understand. Thus, it is also perfect for beginners. The scope is notably cheap for its features. It saves you a great deal of money while still giving you an impressive performance. The riflescope is comparatively larger than most other riflescopes. It may prove difficult to handle, especially for people used to compact scopes, or short or petite users. The scope doesn’t come with any mount ring, and it must be purchased separately. Q: What rifles can be used with this scope? A: It works with almost all rifles. These include the AR 15, H&R (NEF), Tikka T3, Rem 700, Ruger American .22 LR, Remington 700 BDL 30-06, Mini 14 and many more. Q: How effective is its eye relief? A: This scope provides for generous, consistent eye relief, keeping your brow safe. It does this remarkably well even with heavy recoiling cartridges, lightweight rifles and any severe shooting angles. A: The product weighs around 1 pound. Overall, the Nikon ProStaff BDC Riflescope has gained popularity as one of the best scopes on the market, and it is a great deal for any enthusiastic hunter. Nikon has done a remarkable job in creating and designing a top-notch product that performs well without costing too much. In its price range it’s quite a bargain, given the many advantages and fantastic features it offers. The scope is well-designed to ensure that your hunting is more fun and effective. If you’re looking for a scope that’ll fulfill all your shooting and hunting needs, this model is worth considering. Give it a try and experience its outstanding benefits. Check out the Top Rifle Scope Reviews with Buying Guide.